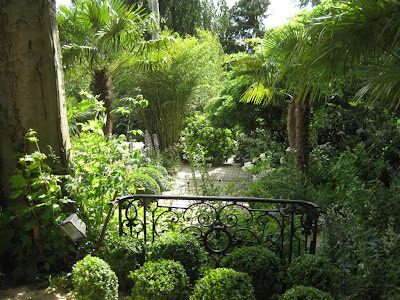 After England in May, the next garden wandering trip on the calendar was France in July (was I ever spoiled this summer!). It was absolutely magnificent. I was amazed by what’s happening over there in the gardening arena, and came away incredibly inspired. As many other people have noted before, the French just seem to have a certain ‘je ne sais quoi’, an artistic flair that makes everything French somehow more beautiful. 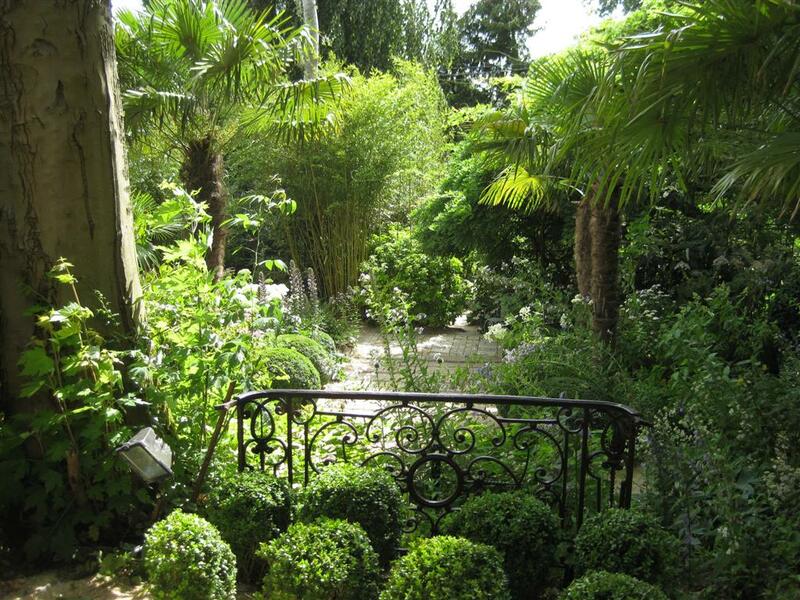 Gardens are no different, though for a long time the French seemed stuck in a formal rut. 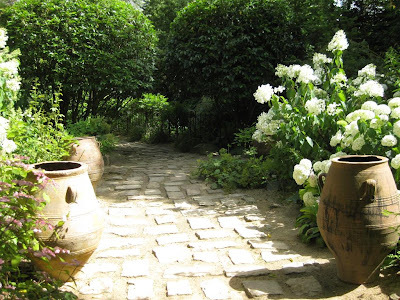 Luckily for everyone, gardening is enjoying a bit of a renaissance in France, with newer, innovative gardens popping up all over the country. 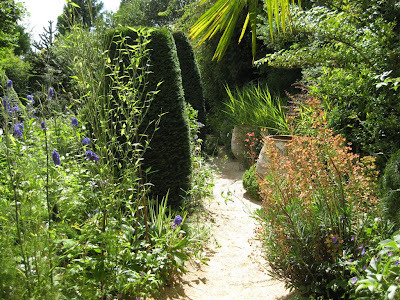 Normandy is a hot-bed for (relatively) new gardens, so that’s where we went. The first garden we visited was Agapanthe, and what a start – it completely blew me away. If anyone has a chance to visit this, please, please do. Agapanthe is a work of art in the form of a garden. Its creator is Alexandre Thomas, and he has devoted his artistic energy to this garden for over 15 years. It is a residential creation, which seems to be the category in which the best gardens are found in France. The amazing thing about Agapanthe is that everything from an insignificant hidden corner to an overall view is gorgeous. You could honestly take a picture anywhere, and each composition would be beautiful. I’ve read some reviews saying that it’s overly theatrical, but I didn’t find it to be. It’s dramatic and staged, that’s for sure, but I didn’t find it false. 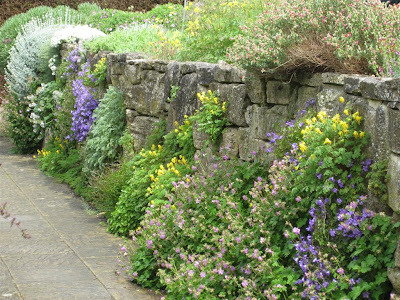 Thomas employs a mixture of recurring elements to create his compositions: clipped evergreens pop up a lot and are contrasted with loose perennial plantings; paths and stonework are innovative and always add to the picture rather than just being functional; and structures and decorations are used where they best complement the garden. Best of all, the entire garden is fully planted - there isn’t a patch of lawn anywhere, which made me particularly happy as a committed anti-lawn gardener. The plants are the first important element at Agapanthe. The palette is mainly green, and it’s all about texture and form. You get the sense that the plants are used as an artistic medium, but also allowed to shine in their own right. The pruned boxwood and other evergreens scattered throughout the garden add green structure and link the whole together. Other areas are less structured in the geometric sense, and instead use texture upon texture of plants. As might be expected, there are also many agapanthus plants, mainly in pots. Hydrangeas, particularly white, also feature prominently. Normandy is known for its hydrangeas, with the most incredible specimens growing casually next to abandoned farmhouses and old churches. And oh, the paths. I could go and on about the paths, and how Agapanthe has really opened my eyes to the possibilities that they offer, how much they can add to a garden. They were always creative, even though the materials were simple, just gravel and stone or brick. In the most brilliant path I have ever seen, stone was combined with flowing water. 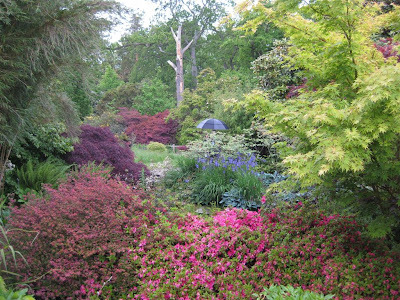 It was brilliant, a magical spot where you really felt drawn into the garden. Because of the design of the path, you interact almost directly with the water flowing underneath your feet and in and out of the surrounding plantings, and thus feel completely immersed in the surroundings. The decorations were also prominent, in particular the massive ceramic vessels. Apparently Thomas is also an antique dealer/collector, so he has a lot of pieces perfectly suited to the garden, each creating its own little vignette. I could go on and on about Agapanthe – I’ve been thinking about it a lot since our trip, and each time I do, I get as excited and inspired as when I was there. It is a strong, beautiful art composition. Even the small nursery area at the end was gorgeous – in fact I didn't even realize that it was a nursery until I noticed everything was in plastic pots. The RHS garden Wisley is supposed to be the jewel in the RHS’ crown. 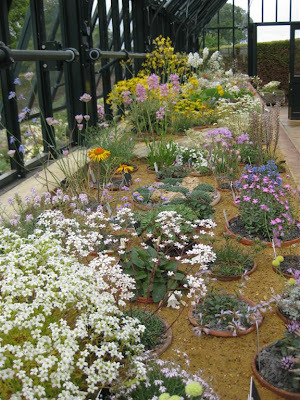 It’s certainly a fantastic garden, which has almost anything one might be interested in as a gardener. Unfortunately for me, Wisley came at the end of our spring trip to England and I have to admit that I was a little bit gardened out. I really didn’t think this would ever be possible, but apparently five large gardens and an even larger garden show are just about enough for one trip. 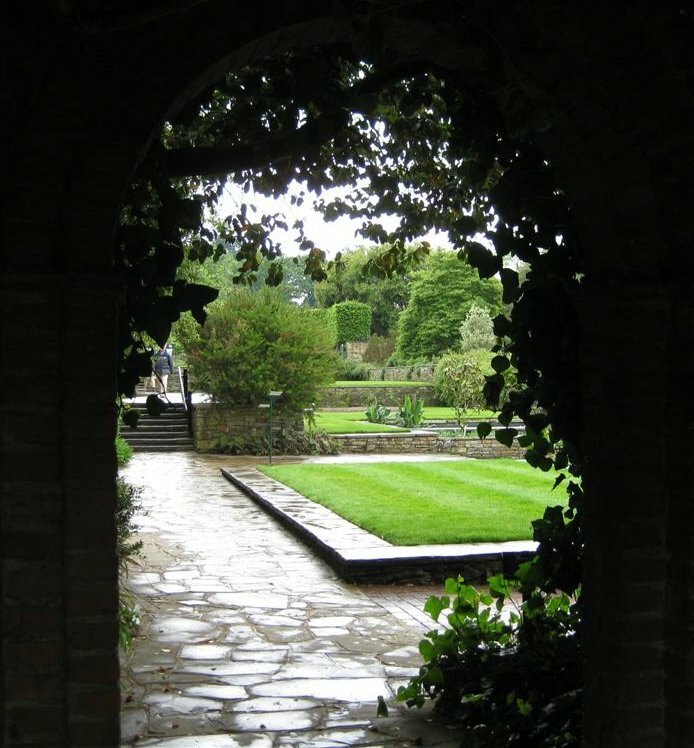 And maybe, although it seems sacrilege to even suggest it, I also grew tired of the absolute perfection of each garden we visited. 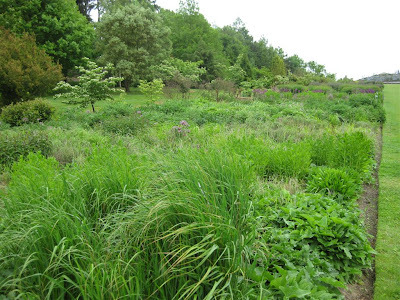 Forests and wild meadows never seem to lose their charms – could it be that English gardens, or any type of garden for that matter, are just too ‘landscaped’ for their own good? Or maybe I’m just reading way too much into this – seeing multiple castles or paintings can also wear you down, no matter how beautiful each is individually. But I digress. Back to Wisley, which really is a very lovely garden. 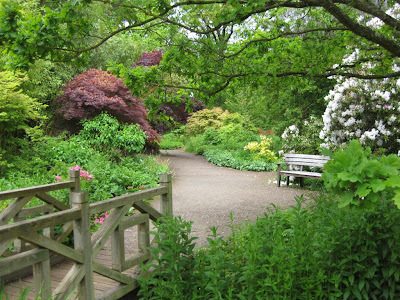 It’s the oldest garden owned by the RHS, which means the Society has had over 100 years to develop it into one of the top attractions in England. 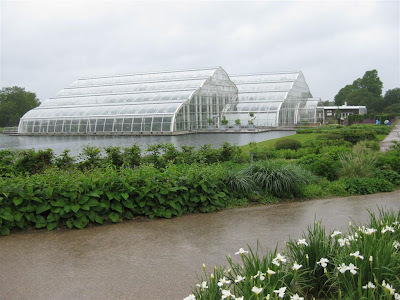 The well-known greenhouse is instantly recognizable, while the Wisley trial fields are the sacred ground where the “RHS Award of Merit” is determined. 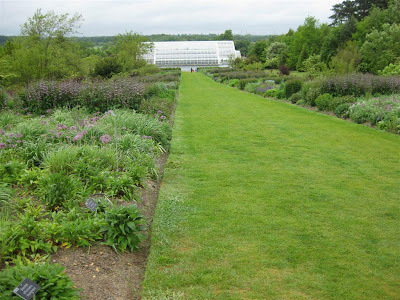 There is great history at Wisley, a true establishment of English gardening culture. As the gardens are very large, I’ll just go through a few of my favourite sections. One of the latest notable additions to the garden is Piet Oudolf’s modern take on the English double border. His wide borders run from the aforementioned signature greenhouse up a large slope, to the upper part of the gardens. While in late May they clearly weren’t at their full glory, they were still nicely filled in. I did think that perhaps some more structure (which is often found in Oudolf’s work) would have made the composition stronger, but maybe late spring is not the best time to judge. A completely different area was the alpine garden. Here, attention was focused on the individual plants, and late spring was a great time to visit. 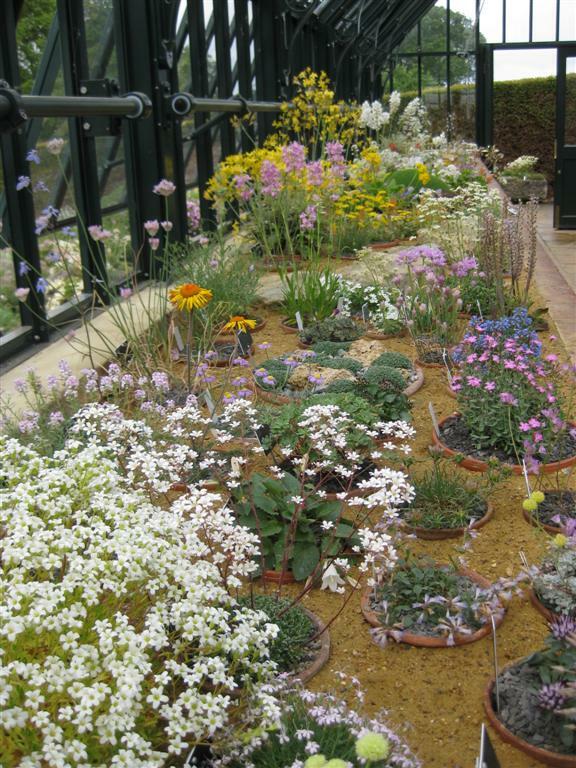 As one might expect, everything was grown to perfection - a real candy store for the alpine plant enthusiast. As seems to be often the case, I also really enjoyed the woodland section. 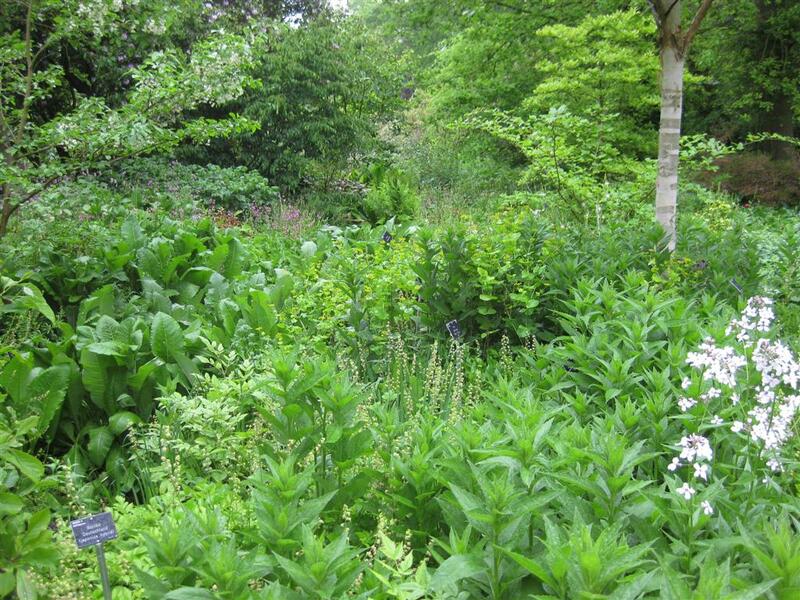 There were two woodland sections at Wisley, one a little more ‘gardened’ with smaller trees and a great concentration of lovely woodland floor plants, and another which was more forest-like, at the further end of the garden. The latter featured some amazing rare and old tree specimens, as well as an impressive collection of rhododendrons and azaleas, all in bloom. 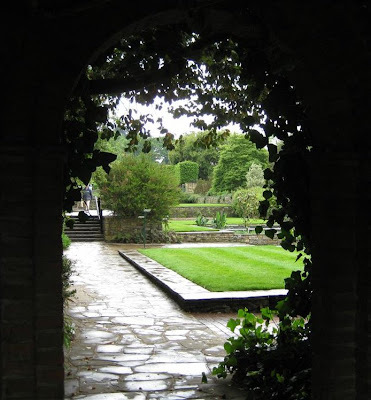 A beautiful garden to enjoy, even in the perennial English drizzle.